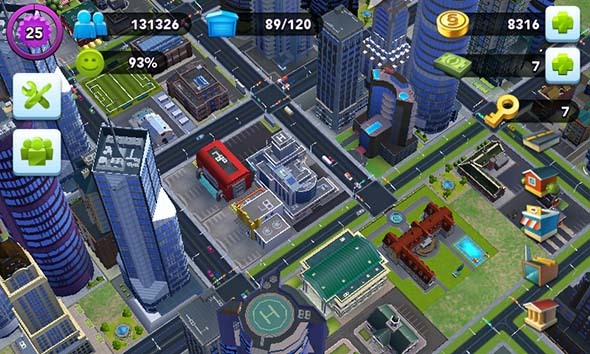 A friend of mine introduced me to the social game SimCity Buildit, currently available for mobile devices and tablets. 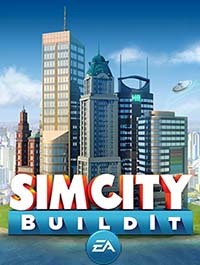 Since I currently lack a strong mainstream entry in the SimCity franchise, I thought I'd see if this social game does anything to fill my long-neglected need for spline-reticulation or if it presented any new features that could be worth pursuing in a full PC version of the game. I don't generally play social games. I dabbled a bit with CivWorld and Sims Social, but that's about it. 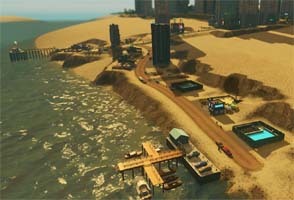 So I lack a lot of reference for judging SimCity Buildit in terms of other social games. 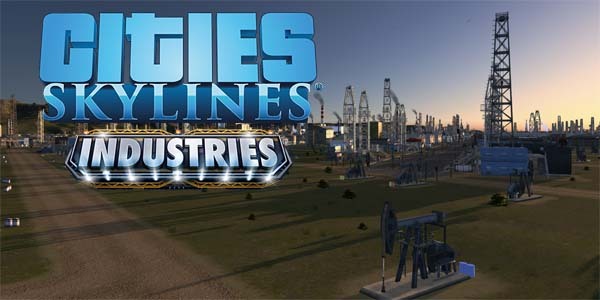 Most of the fundamental SimCity elements are here: you set housing, commercial, and industrial zones, link them with roads, and build service buildings in order to satisfy various citizen needs within a certain radius. 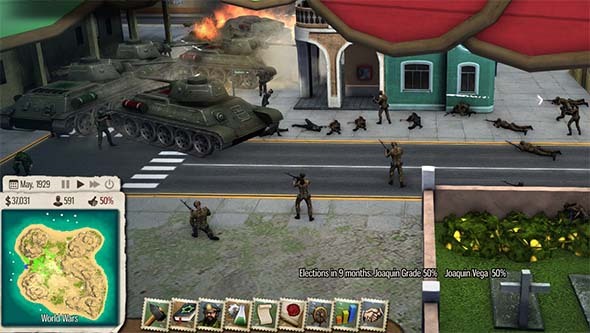 None of the deeper simulation elements of newer city-builder games are there. Individual citizens don't exist; there's just an abstract population, and happiness levels are set for each residential building. It's understandable for the limitations of the platform, and it provides a retro quality that reminds me of the good ol' days of SimCity 4. But since this is a social game, the design has to put up numerous barriers to restrict the player's freedom to construct the city that they want. 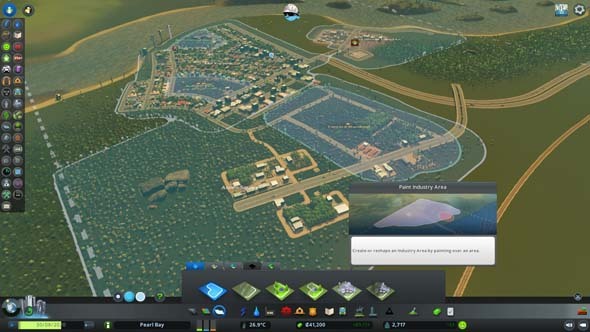 You have to "level up" your city by building new buildings. The number of residences that you can build, as well as the availability of industry and shops are also limited by your level or by the city population. You also don't really have an economy to manage - at least not in the traditional sense. Citizens don't work at factories and shops. Instead, these buildings create certain building materials that are used to "upgrade" your residences into higher-density buildings that generate more tax revenue. 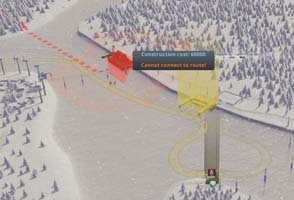 This provides the core challenge of the game: you have to build the necessary materials in order to upgrade your buildings. Each of these materials take different amounts of real time to construct in your factories and shops (or you can buy the materials you need through real-money micro-transactions). As you level up, you'll unlock new materials, which residences will suddenly demand in order to upgrade their buildings. You don't have to manage employment, tax rates, or city ordinances; only resources and service coverage.